“Aggression unopposed becomes a contagious disease”. One of Jimmy Carter’s most popular quotes. 39th President of United States managed to convince Egypt to recognize Israel back in 1978 (Camp David Accords), which was probably his biggest accomplishment as a president. 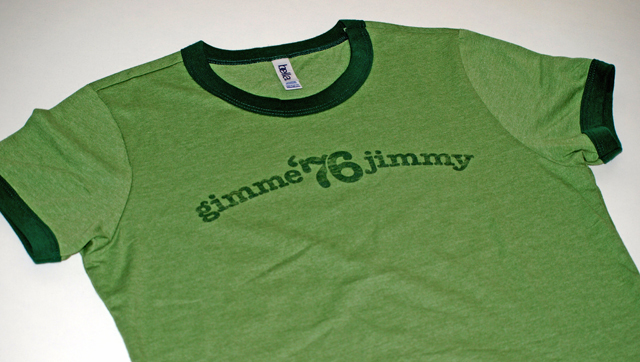 Two years before that – during the 1976 Presidential Elections – his supporters used the slogan “Gimme Jimmy” on buttons used for his campaign. Some 35 years after Retro Campaigns – an independent clothing line from LA which we already featured back in 2009 -evokes a remembrance on that event by re-printing the original button design onto vintage-styled tees which look like they came straight from that era. Make no mistake – they do not only print Jimmy Carter’s campaign slogans, but also other candidates slogans from American Presidential Elections history. In my opinion – a very cool idea for making your T-shirt line stick out from all the others out there. 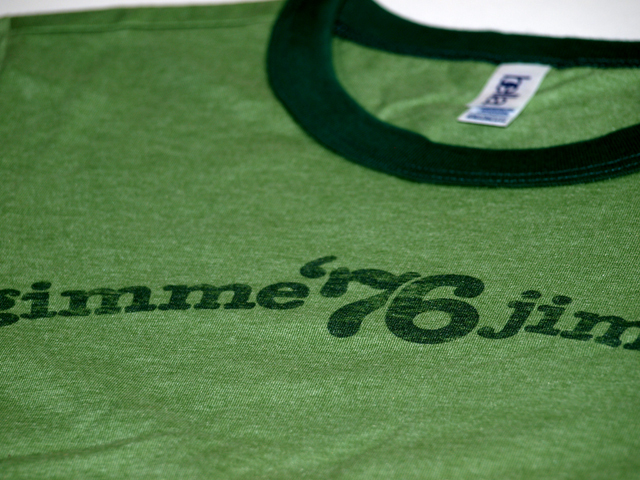 Recently we’ve had the privilege to convince ourselves into great quality Retro Campaigns deliver – we were sent their lady styled “Gimme Jimmy” sample T-shirt for a review. The first impression upon unpacking the shirt was – wow! You just gotta love those retro-styled ringer T-shirts. All those extracted fibers and rubs in darker tone makes this tee look vintage, almost as if it was made in 1976, as the design perhaps might suggest. Green color makes it even more retro, and even if anything wasn’t printed on it – the shirt would still look great alone. When dressed on this tee feels incredibly soft, even though it isn’t of a thinnest kind. The design itself isn’t of most creative kind, and as mentioned before – it’s a reprint. However, the slogan is rather witty – speaking in 1970’s terms. Using the print color same as the rubs is clever in my opinion, making the design look as a natural part of this tee. Washed-up effect, of course, adds much to the vintage look. This design was screen-printed, same as all Retro Campaigns designs. It’s a most common printing method which gurantees long durance of applied colors. The print is soaked into garmnet almost as if it was made from one piece, which indicates the fiber is of finest quality. Retro Campaigns used Bella ringer T-shirt for printing this design. If you’re not familliar with this brand – Bella is one of the finest US-based blank clothing makers out there, and this particualar tee is made of 50% cotton and 50% polyester. It is to be machine washed warm with like colors, and if you want to bleach it you have to use only non-chlorine bleach. It is recommendable not to iron over the printed design, however we’ve ironed over it on a medium setting and nothing happened. Like your shirts retro / vintage, but different? Then by all means try Retro Campaigns. You’ll have a unique design which will make people smile, no matter which political option they’ve belonged to. 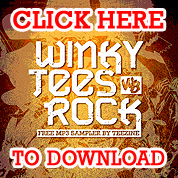 Not only that – you’ll have a highest-quality T-shirt which will last for years. We don’t want this to sound as if we’re praising Retro Campaigns for sending us a free sample – it’s our honest opinion, having in mind what does this line represents. Did you like this T-shirt? Whom did you vote for back in 1976? Ummm, not really… We’d really love to hear YOUR opinion on Retro Campaigns and their shirts, so don’t hesitate to leave a comment below. Let’s start a real political discussion (with a retro flavour).